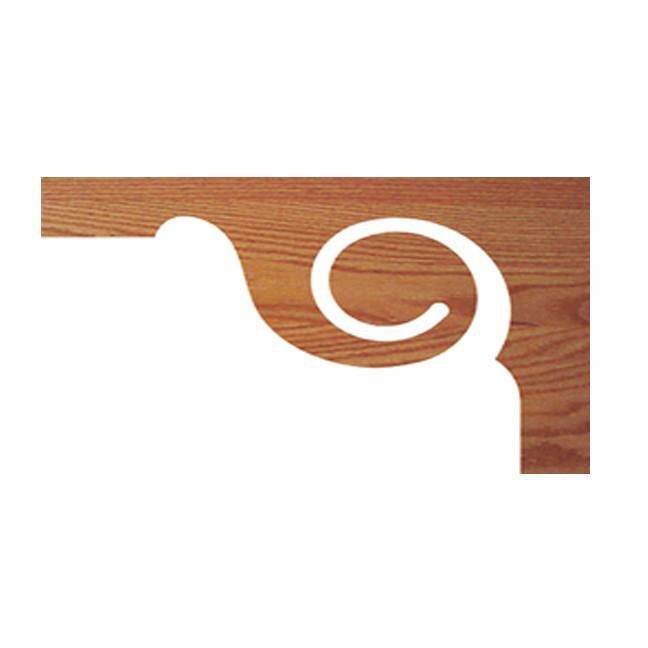 The 7029 Skirting Bracket, featuring a scroll design, is a great way to finish the skirting of an open stairway. This style measures 8″ x 11 1/2″ x 1/4″. Are all the skirting brackets solid wood or mdf overlay? They are made of solid wood. We don’t manufacture anything with a veneer, everything is solid wood. On this particular item we might have to edge glue 2-3 pieces in order to get to the height of the skirting bracket. Please let us know if you have any other questions. Is this product available in 8×8 for the inside of attic stairs? Unfortunately, this product is only available in the specified length.